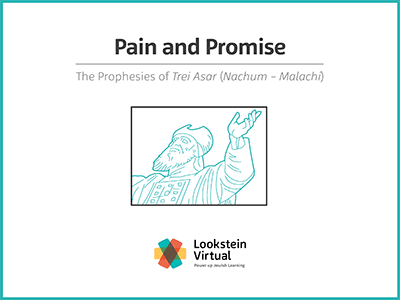 In this course, eleventh and twelfth graders will study selections in the second half of Trei Asar (Twelve Minor Prophets). In addition to examining the books’ literary structures and styles, students will explore their central themes (sin and punishment, prophets and prophecy, repentance, am segula, and redemption). Over the semester, they will develop their textual reading and analysis skills and will leave the course with the ability to demonstrate a basic proficiency in reading and understanding prophetic texts. This course has a companion course for first semester.